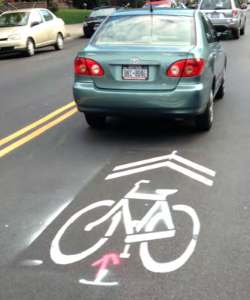 Make Communities has been a leader in Complete Streets assessment and design as early and consistent advisors and advocates for Complete Streets policy and implementation. 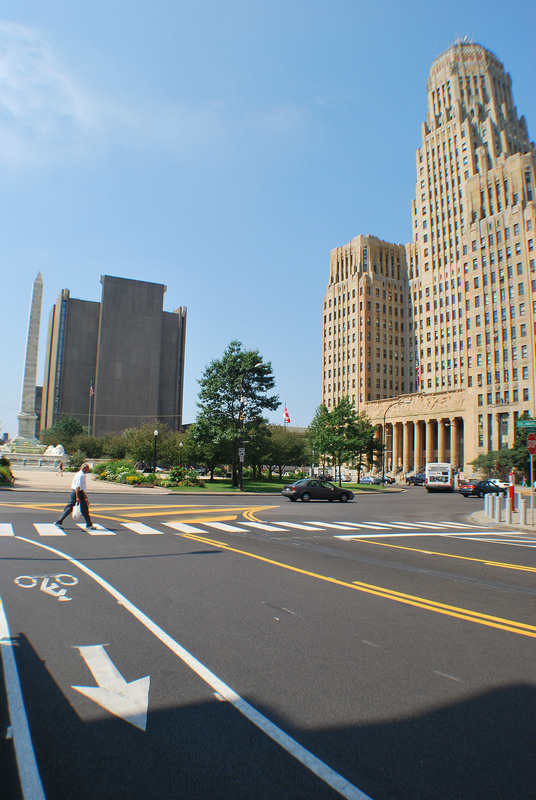 Complete Streets are defined as facilities that are designed and operated to enable safe and convenient access for all users: persons with disabilities, pedestrians, bicyclists, transit riders and motorists. 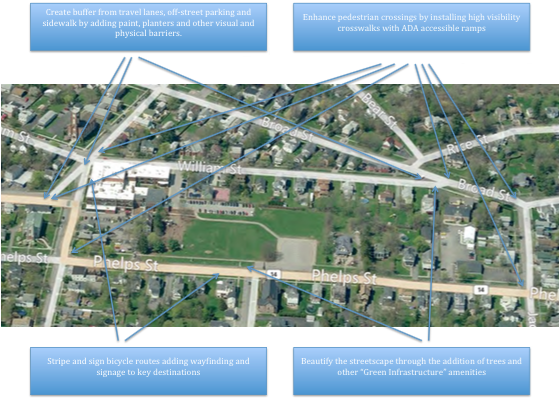 Complete Streets are the building blocks of great communities. 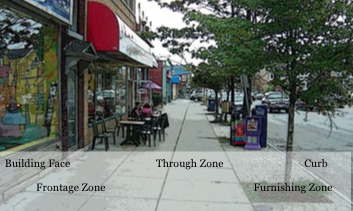 But the best Complete Streets are also, in and of themselves, great places to live work and play. Far from just a prettier way to get from A to B, great streets are public spaces that serve as the social, economic and residential center of a community. The best streets aren’t just multi-modal but multi-purpose building upon the community’s assets by establishing a sense of place. 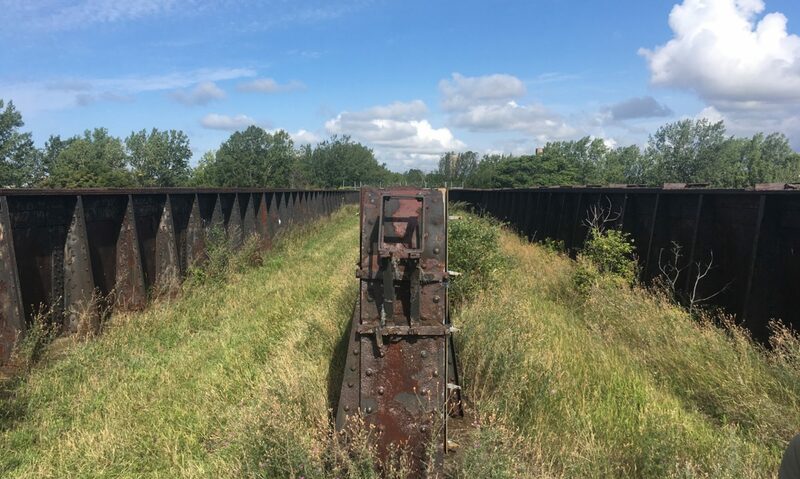 The Make Communities team has worked with communities throughout upstate New York and beyond to examine, critique and plan for streets that increase activity and safety for all users and spur economic development – from community and institutional access plans, to neighborhood walkability audits, workshops for the public and public officials, to broad ranging policy changes to help institutionalize complete streets for all projects from maintenance to full reconstruction. Whether Safe Routes to School advocates, bicycle and pedestrian organizations, public health agencies, planning departments or departments of transportation, the Make Communities team has worked with cities such as Rochester and Canandaigua as well as many towns and villages in Wayne and Cattaraugus Counties, the Finger Lakes, Adirondacks and the Capital Region including Alfred, Wellsville, Dundee, Weedsport, Malone, Saranac Lake, Lake George and Fort Edward, as well as a consortium of school districts and non-profits in Cattaraugus County, to envision Complete Streets policies and practices appropriate for local conditions and based in both data-driven analysis and local knowledge. 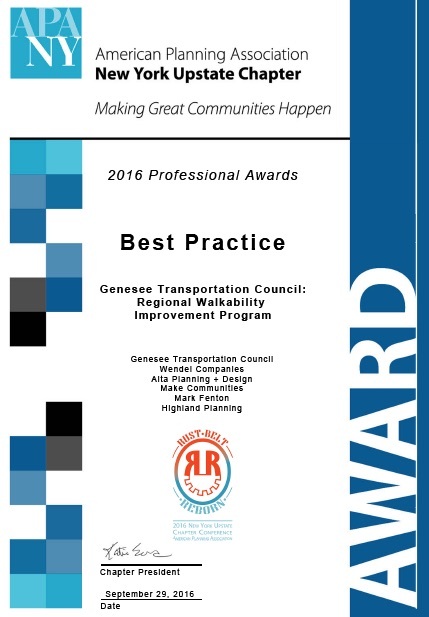 As part of its Complete Streets work, Make Communities is proud to have been part of an award winning “Best Practice” team for the Genesee Transportation Council’s Regional Walkability Improvement Program.